The Weber State University men’s tennis team finished off the WSU Fall Invitational on Saturday, placing six players in the top three across the four brackets. The fall season is a short season before winter to prepare the team for the conference season in the spring. Three schools took part in the tournament held at WSU over the weekend. 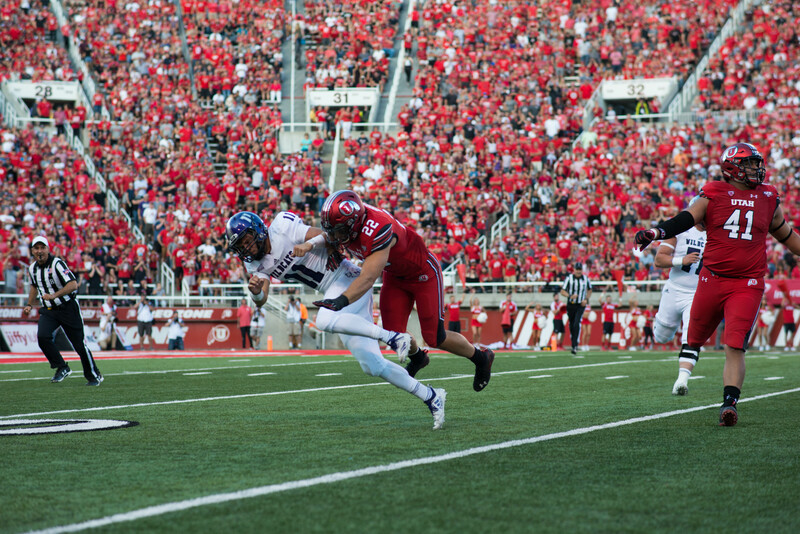 Idaho State University and Utah State University competed against the Wildcats. The Wildcats’ doubles team of freshmen Todd Fought and Sanjay Goswani kicked off the day with a 9-7 win over ISU’s Charles Norman and Nate Gross in the championship match of the “A” doubles bracket. Ryan Garner, a senior from Kaysville, Utah, then earned the second of two Wildcat wins as he won two matches to close out the “B” singles bracket. Garner defeated ISU’s Andres Coello in a three-set semifinal (4-6, 6-3, 7-6), then won the bracket with a 7-5, 6-1 win over ISU’s Austin Miller. Fought advanced to the “A” singles title match by defeating Norman of ISU 6-4, 6-2, but he eventually fell after battling Utah State University’s Sven Poslusny, finishing as runner-up after a 6-1, 4-6, 6-4 three-set loss. Oliver Good was upended in the semis by Poslusny, but came back to capture third place in the bracket by defeating Norman in an 8-3 pro-set match. Ben Rode, who lost to the Bengals’ Miller in the “B” semis, also came back to take third place. He defeated Coello in a three-set match, rallying from a 6-0 first-set loss to win the final two sets 6-3 and 10-4. Rode and Garner also combined for a second-place finish in the “B” doubles draw after dropping a tight 9-7 decision to Miller and Jamey Swiggert of ISU. The men’s team will return to action in October when it heads to Salt Lake City to take part in the University of Utah Invitational. Then the team will head to Las Vegas, Nev., for the ITA Regional Tournament. The women’s tennis team will be in action this weekend when it heads to Idaho for the Jack Taylor Classic held at Boise State University. The team will close out the fall season in October at the ITA Regional Tournament.